I'm so happy this movie was finally made. While I love other superheros in the vast world of comic books, it's superheroes like Deadpool that make me enjoy them. Breaking the proverbial fourth wall is one of my all time favorite things a character can do. With Deadpool it's a constant thing that he does and every single time that he does it only gets better. Then there's the whole deal with him being able to pretty much beat anyone up, (when he's being serious that is). Oh yea, and the pretty cool costume that could totally be worn if I was a trained assassin in this day and age. He has all the makings of a comic book anti-hero that deserves his own movie. Which brings me to this movie review. After YEARS and one failed attempt to bring him to the big screen, we finally received what we were asking for due to a leak of test footage that fans made go viral; (good job internet). But what was more impressive was the fact that it had a low budget and currently is out grossing most superhero movies in it's first THREE DAYS. That's a pretty impressive feat seeing as how most superhero movies make a lot of money in their theatrical run. So congrats to Deadpool for being a hit and even more congratulations to the fans that fought to see this movie being made. With that being said I'm a little disappointed with this movie. Now don't get me wrong for one second, the movie was great. It's just that the movie was previewed way too much in the trailers. I know that building hype for this movie was necessary but there was literally no parts of this movie that I didn't see in the trailer besides like two or three scenes with the blind black lady. Now all of the jokes, breaking of the fourth wall and all of the Easter eggs made the film worth it; I just wished that it held back some of the movie for me to be surprised. The movie looked great, the supporting characters worked fine and the dialouge was there. Like I said I just wish that more of this movie was left out of the trailers so that I could be surprised at some point. It felt as though I was watching a movie that I've already seen but I don't mind seeing it again because I love that movie. That's the best way I can describe how good Deadpool is. Normally I would be pissed at seeing a movie with the whole movie basically being chopped up through various trailers, but since this was a movie that was near and dear to my heart, I can't complain at all. While most people who haven't seen the amount of trailers for this movie as I had, should all relatively be fine with what's going on in the movie. I'm definitely going to buy it on Blu-ray once it releases to add to my collection. I definitely give this movie a solid A all around for what it was able to do in a short amount of time and on a smaller budget. I'm looking forward to the sequel that was announced in a hilarious manner at the end of the movie. 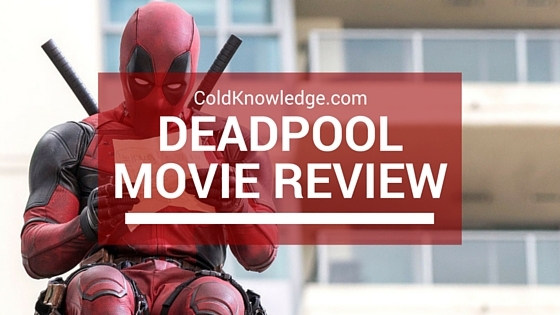 Did you see Deadpool and if so how did you like it? Was it too much for you or was it right on par? Leave it in the comments below.